September 25, 2013, 4:09 p.m. 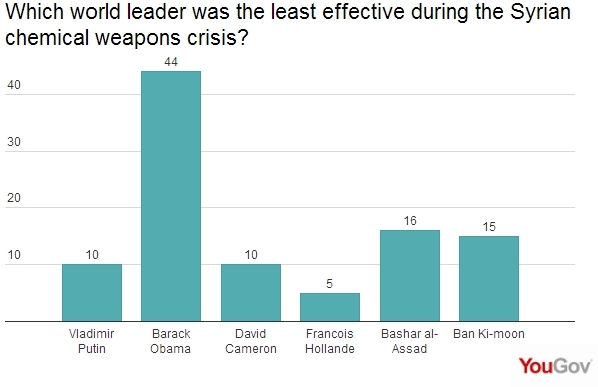 Many Americans think that Vladimir Putin was the most effective leader during the Syrian chemical weapons crisis, while approval for how Obama handled the crisis is still low. Although Syria appears to have met the first deadline in its agreement with the United States and Russia, beginning the process of turning over its chemical weapons, few Americans trust it will fulfill its promises. That leaves President Obama in a difficult position: he continues to have little support for action against Syria, and Americans continue to disapprove of how he is handling this crisis. Worse for him, perhaps, the latest Economist/YouGov Poll finds twice as many Americans giving Russian President Vladimir Putin the nod over President Obama as the most effective leader in this crisis. As might be expected with any issue involving the President in these polarized times, hardly any Republicans think the Democratic President was the most effective leader: overwhelmingly they say Putin was most effective (63% of Republicans say this, while only 4% pick Obama). But there is even concern from Democrats. Fewer than half of Democrats say the President was most effective, while 37% choose Putin. To Americans, President Obama was the “least effective” world leader, with more choosing him than British Prime Minister David Cameron, who lost a vote in his Parliament on the issue, and Syrian President Bashar Assad, who has said he will submit to international pressure and give up his chemical weapons. 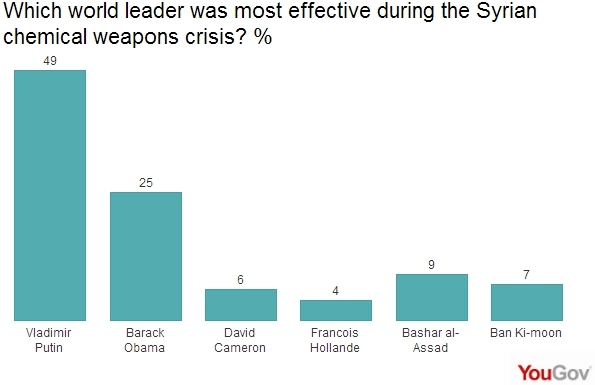 Democrats rank the President alongside Assad as the least effective leader, with one in four choosing each of them. The move towards diplomacy in this crisis has still left the Americans public believing that the United States eventually will attack the Syrian government, although the percentage saying he will order military action has dropped eight points in the last week, from 45% to 37%, and more think he will not take military action this week than did so a week ago. The public also does not trust the Syrian government’s intentions. Although it met its first deadline last week, only 23% believe Syria will surrender its chemical weapons, not much of an improvement from the 23% who thought it would in last week’s poll. 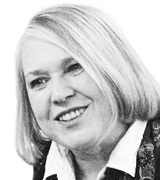 Six in ten last week and this week believe the Syrian government is simply stalling for time. But even though Syria is viewed as unreliable, there remains little support for any kind of U.S. military action, with allies or independently. Overall, just 26% support the use of military force against Syria (only 35% of Democrats are in favor). 58% oppose action. 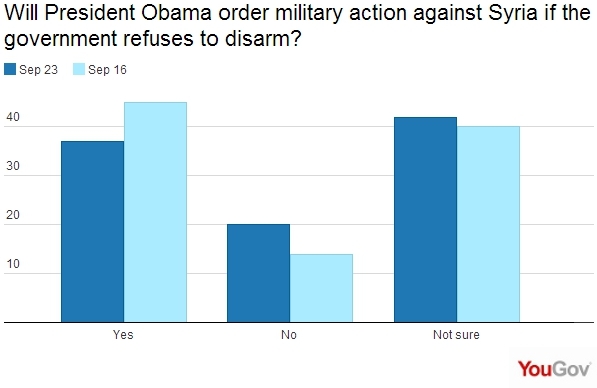 Even if Syria fails to abide by the agreement, few Americans favor military action. Only 28% say they would support a military strike by a coalition of countries that included the United States. There is only minimal support for action short of a military attack. 39% support economic or military sanctions targeted only at the Syrian government; just 19% would support sanctions targeted at the entire country. This crisis continues to hurt the President. There has been almost no change in the public’s negative assessment of his handling of the Syrian situation. This week, 30% approve; last week that figure was 28%. Two weeks ago, before the push towards a diplomatic solution, it was 26%. 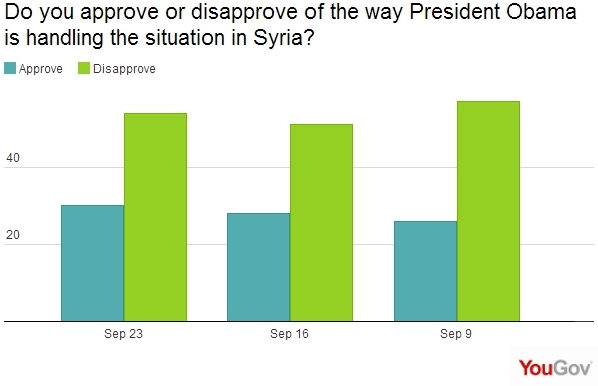 One in four Democrats disapprove of the President’s performance on Syria. And the President’s overall approval rating remains low. 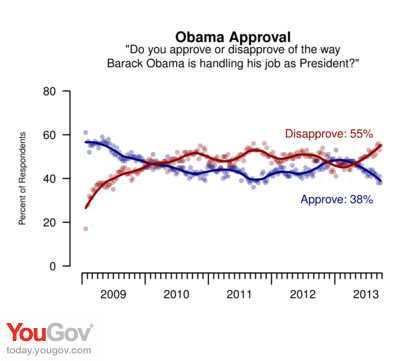 It remains just above the all-time low for this President (36% in mid-2011). This week, 38% approve of the way the President is handling his job; 55% disapprove. Economist/YouGov poll archives can be found here.